My Chemical Romance's classic 2004 album 'Three Cheers For Sweet Revenge' has re-entered the Billboard 200 Chart - its first chart appearance in 14 years. 'Three Cheers' has re-entered at number 191 in the current chart week, with its last appearance in 2005. Following its release in 2004, it peaked at number 28 and spent a total of 78 weeks in the chart. The Billboard 200 is calculated by a combination of sales data from physical and digital sales, as well as streaming through services like Spotify and Apple Music. It's not entirely clear why why it's re-entered the chart right now, but we'd speculate that the popularity around the Netflix adaptation of Gerard Way's comic book series The Umbrella Academy has more than a few former (and current) emos feeling nostalgic. Also, 'Three Cheers' is about to turn 15 years old, and the sixth anniversary of My Chemical Romance announcing their break-up is hurtling towards us this Friday. 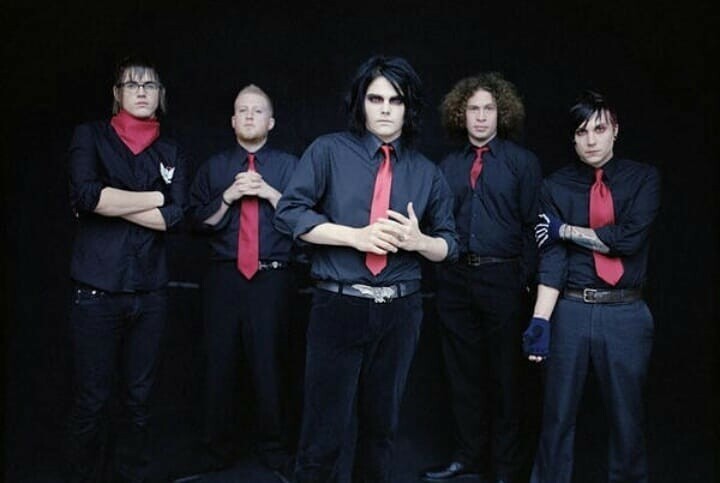 Basically, there's a lot going on here that's making My Chemical Romance feel very top-of-mind. Which is a mood, because that's pretty much us constantly. Celebrate and turn it up!